both aesthetically stunning and thought-provoking artwork by conveying the role of Fabergé objects in the life of Russian society at that time. 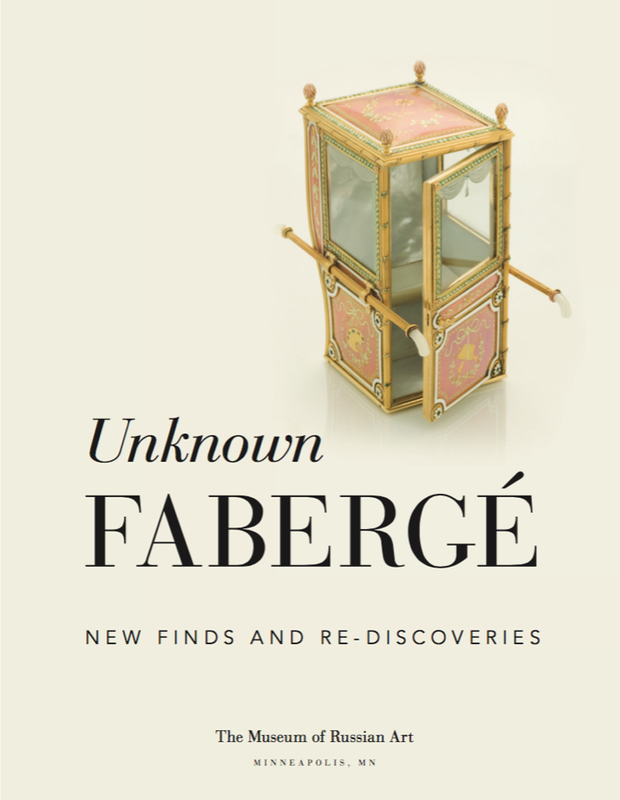 Unknown Fabergé will unveil previously unknown and recently discovered objects from The House of Fabergé - the leading jeweler to the Russian Imperial Court. On loan primarily from private collections and museums in Europe and the United States, the exhibition will include more than 80 Fabergé objects crafted of gold, silver, wood as well as precious stones including jade, rubies, sapphires and emeralds. The array of Fabergé objects displayed include intricate jewelry, cigarette cases, timepieces, photograph frames, icons, and much more. One piece in particular that promises to create much curiosity and excitement is the Imperial Bell Push, which once adorned the tea table in the Winter Palace of Nicholas II and Grand Duchess Elizabeth Fedorovna, circa 1905. Only recently discovered in a private collection in New York, the Imperial Bell Push has never before been displayed in an exhibition. Anywhere.